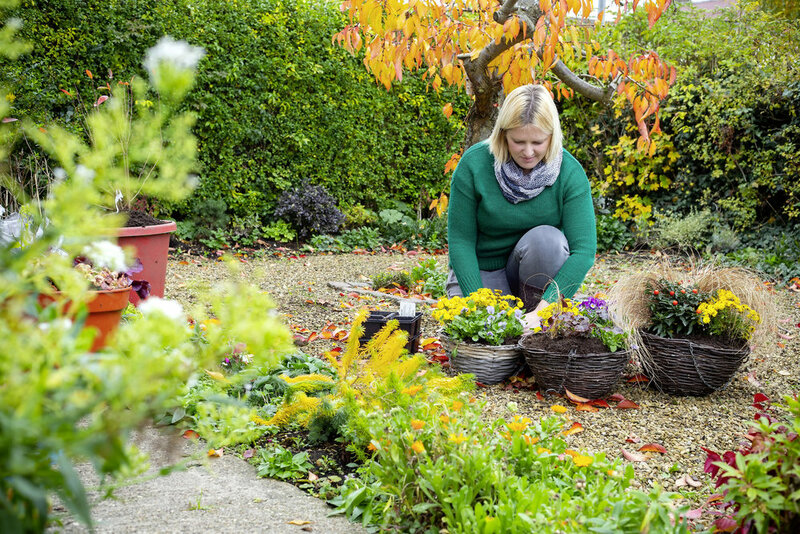 Bring winter colour and cheer to your garden. There’s no excuse not to have lots of instant colour and form in winter – get those hanging baskets into action for a new season, and you’ll add winter cheer aplenty. Remove all the old plant debris and consider what you want to show in them. An important thing to consider is where they’ll be placed – in exposed rainy spots dainty bedding such as violas or pansies may simply get battered, and you may wish to try more robust plants such as mini shrubs, ferns, grasses or ornamental cabbages for colour. Use bright whites, yellows and pinks if you’re using bedding for optimum impact, varying up the planting with heathers, trailing ivy and some small bulbs such as crocus and iris, which will pop up in early spring to surprise you. The beauty of winter baskets is they’re much less work than summer baskets, generally needing less food and water or deadheading. Plus they’ll last for longer, with more robust plants for four months or more into March, when you can give them another makeover.